We’re only 1/4 mile from the coast, so visiting the beach is a must while lodging here. 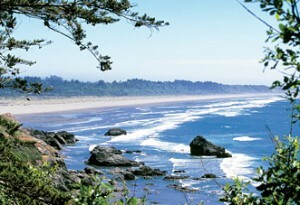 Arcata, California’s beaches have a rugged beauty that invites you to explore the shoreline, surf and swim in the cool waters or simply picnic before the setting sun. Test your luck with a night of slots, blackjack or poker at Cher-Ae Heights Casino while lodging in Arcata, California. Then, enjoy a meal at the casino’s Sunset Restaurant, which was voted the best and most romantic place to dine in Humboldt County. If you want to explore coastal towns near McKinleyville, our hotel’s staff suggests driving 10 minutes north to Trinidad, the oldest Northern California coastal town. Enjoy the quaint, seaport atmosphere and the landmark Trinidad Memorial Lighthouse. Lodging in Arcata, California puts you in the heart of California’s Redwood country. Visit Patrick’s Point State Park, where you can walk among these giants, explore the tidal pools and relax along the dramatic shoreline while whale watching. 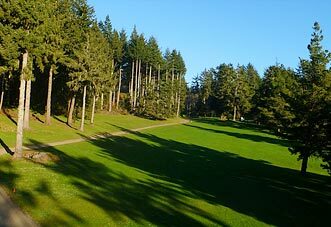 For a memorable game of golf in McKinleyville, our hotel’s guests prefer the 18-hole championship course at Beau Pre Golf Club. This challenging course requires precise shots, but it rewards you with lush fairways and fantastic views of the Pacific Ocean.